Spring has sprung, which means if you’re a runner or a cyclist, it’s time to take to the streets. And, while I love the scenic route while out riding my bike, I rarely take time to meander aimlessly. I have some fairly defined routes and pick the one that fits into the amount of time I’m able to make for exercise that day. Over time, I’ve gotten stronger and faster, so a particular itinerary takes less time to complete eventually. When that happens, I extend my journey to map to my available time. It’s not a highly scientific methodology and a bit of a game, but it’s one that motivates me and helps me see progress. Whether it’s using Google Maps or a GPS, most of us benefit from tools designed to get us someplace in the most expedient way. Not everyone, however, values the use of similar tools to determine direction, monitor progress, and course-correct in their businesses or department initiatives. This issue of the Coach2Growth newsletter highlights the importance of gauging your progress, be it an official business dashboard (for you worksheet people) or something less formal (for you whiteboard people). Whatever your preference, the important thing is to have a way to monitor performance. As the old saying goes, you can’t manage what you don’t measure. Measuring progress via a dashboard is far from a glamourous exercise for most of us, yet it's essential to success. Coach2Growth delivers leadership coaching, business strategy and marketing consulting for business women who want to achieve more, be recognized, and grow and prosper fearlessly. And, while none are dire consequences, each take you off-course and prevent you from getting to your destination in an efficient manner. The same goes for our businesses or department initiatives. 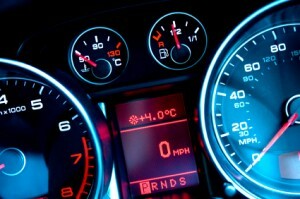 Without a dashboard to gauge progress and direction, you might end up, dare we say, spinning your wheels. The beauty of a business or department initiatives dashboard is that, when done right, it can make your life simpler and less scary. It needn’t be some complex list of useless numbers that ties you up in knots. You can start small and add to your dashboard over time, as you become more equipped to capture the information that’s useful to you and your company. Sounds like a big “no, duh,” but sometimes it’s so obvious that it’s overlooked. Depending on your company size and your ability to capture sales information, this is the baseline for understanding what’s working, what’s not and what needs to be tweaked along the way. Profit isn’t always easy to assess on too frequent of a basis and, sometimes, only determined at the end of an assignment if you have a service-based business. So, tailor this to your business model. This is a complementary worksheet to the point above, and essential to ensuring your business development and/or marketing funnel engines don’t run dry. This is an easy one to avoid, especially when business is going well. But, the last thing any of us want in our businesses is to look up from a business quarter and have nothing from which to draw for the next two quarters. Think of the pipeline as a gas tank, preferably full. If you’re working in a large corporate setting, this benchmark is a surefire way to demonstrate your understanding of the connection between your department initiatives and customer growth. Your close rate is the percentage of people that say “yes” to your product or service from the pool of prospects you’ve identified. If you know your close rate, you know how many prospects you need in your pipeline. Ideally, you’ll want to fine-tune your close rates throughout the sales funnel (from first conversation to the proposal decision) over time. Likely, your department initiative will take on a tone of increased importance and relevancy if you can connect it to this key business metric. Once these essential benchmarks are in place, you can get more sophisticated and look at things like product/service mix by customer, or length of engagement (if a service-based business). But, ensuring that these three are in place first will get you a long way to understanding where you are and keep you from running out of gas, or getting lost. 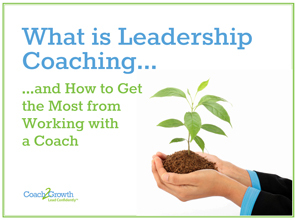 This just in: The Coach2Growth Leadership Coaching eBook. 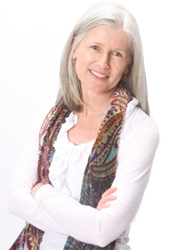 Jacqueline has been a natural and compassionate champion, mentor and coach to women throughout her career. She participated on the board of Girls Inc. of Lynn for six years, and is a member of The Boston Club (one of the largest communities of women executives and professional leaders in the Northeast).